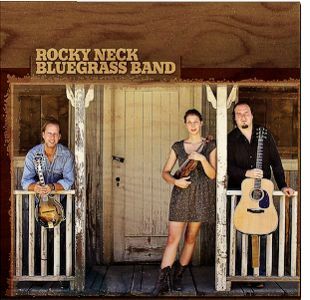 Santa Ana, CA -- The Heritage Museum of Orange County today announced that the Rocky Neck Bluegrass Band (www.rockyneckbluegrass.com ) will take the stage at noon and demonstrate why they won first place in the recent California Bluegrass Association band competition. According to mandolin player David Feeley, "we hope to reach out to people who might not know that they're bluegrass fans. By juxtaposing old traditional songs with bluegrass arrangements of more modern songs, we hope to respect traditional bluegrass while extending a hand to people who aren't that familiar with bluegrass music." Feeley is joined by Craig Ferguson on guitar, Lydia Veilleux on fiddle, Brian Netzley on bass and special guests on banjo. Already booked for the festival are California country rock and bluegrass legends Chris Hillman (www.ChrisHillman.com ) and Herb Pedersen (www.HerbPedersen.com ), and guitarist, composer and humorist Toulouse Engelhardt (www.ToulouseMusic.com ). Rock ‘n' Roll Hall of Fame guitarist and mandolin player Hillman has played everything from bluegrass to jazz as a member of The Byrds, The Flying Burrito Brothers and the Desert Rose Band. Pedersen has worked with Johnny Rivers, Dan Fogelberg, James Taylor and many other well-known artists. Engelhardt, known for his Segovia surf and Americana stylings, has been a part of Southern California beach culture since the 60's. He was the last original member of the "Takoma Seven," innovators of finger-style guitar. Also on the musical menu are the Dennis Roger Reed Band (www.DennisRogerReed.com ) that will play traditional bluegrass music, and the "A Wing and a Prayer" band (www.WingAndAPrayer.org ) to appeal to Big Band Era fans. Arts Festival activities include a contest for students who can win cash prizes for submitting paintings, pen and ink or charcoal sketches or 500-word essays about an Orange County historical location. Family activities include a barbeque, food chuckwagon, Craft Brew Beer Garden, storytellers and art classes for children, tours of the museum's working blacksmith shop, demonstrations on adobe brickmaking, tours of the Victorian Kellogg House and more. Tickets are $20 for adults ($15 pre-sale), $10 for students with I.D. cards, and children under 12 are free, available at www.heritagemuseumoc.org . Corporate and individual sponsorships are encouraged to help the non-profit museum continue with its popular educational programs.